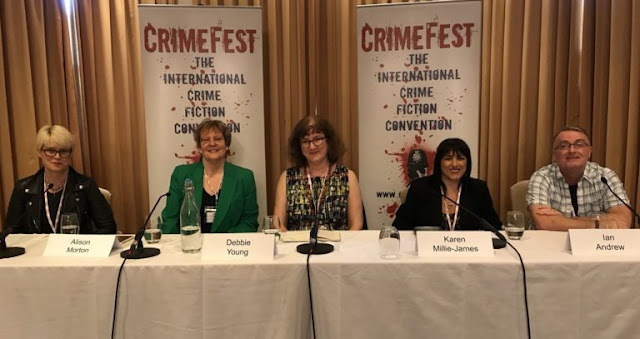 In the same month that I joined the Romantic Novelists' Association, I also pitched up on a panel at CrimeFest. An unlikely duo, you might think, but my cosy mystery series has a foot in both camps, with a strong romantic subplot underpinning the murder in each novel. 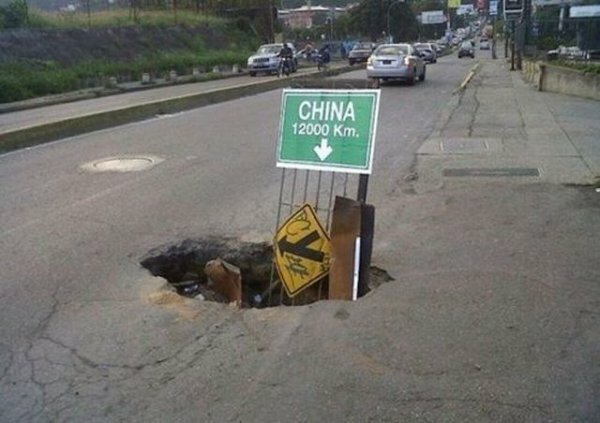 In some respects it's a similar situation to visiting Greenwich and being able to stand on the Meridian line with one foot in the east, the other in the west. Further variety is added by a generous helping of comedy running throughout my books. But I'm by no means the only one to tread such a complex path, genre-wise. 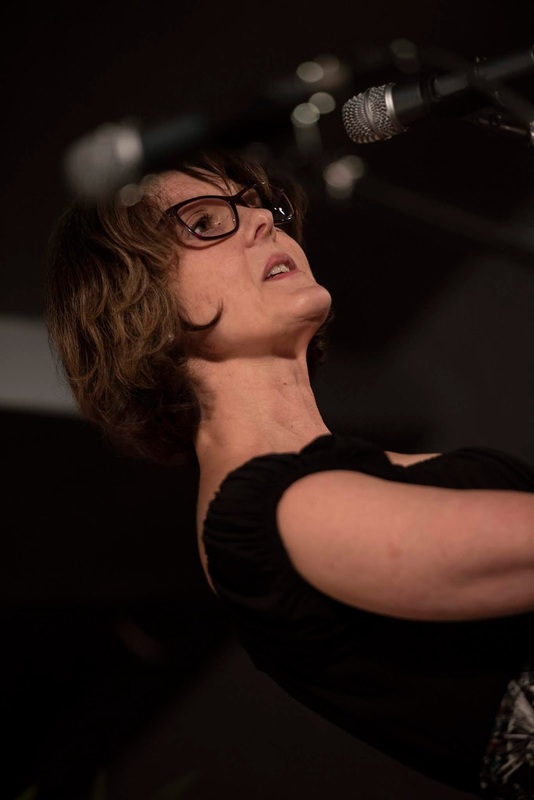 Fellow CrimeFest panellist Alison Morton adds alternative history to her crime/romance split. Just because two authors write in the same genre, doesn't mean their books need have much in common. While each of my books has "Murder" in its title, none of them are that dark. One reviewer, Rosalind Minett, a career psychologist, describes mine as "uplifting murders". Certainly my books include plenty of life-affirming threads and happy endings for everyone except the murderer(s). Sometimes I even provide a stay of execution for the murderer's intended victim. I've started describing myself as The Reluctant Murderer, because sometimes I have to force myself to polish people off. 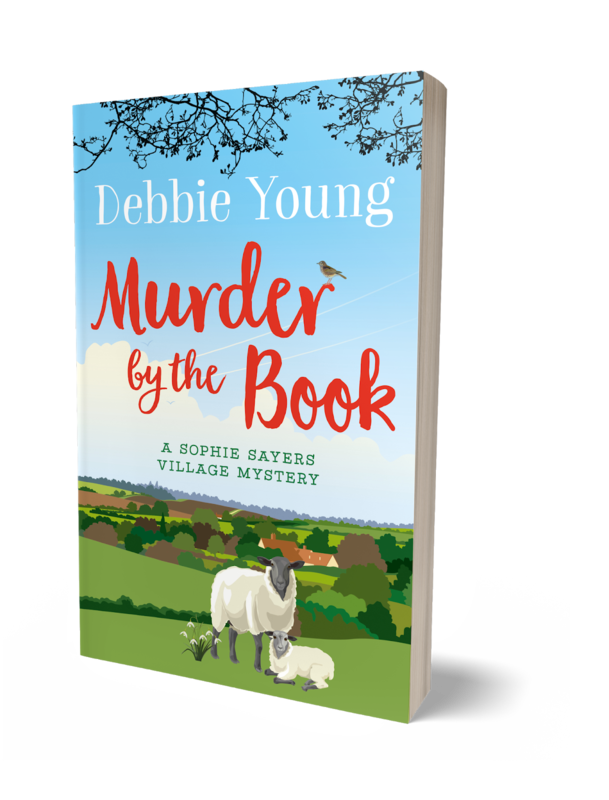 I took no chances with my latest novel, Murder by the Book, shoving someone unceremoniously down a well to their death in the very first chapter, before my resolve could weaken. My first in series, Best Murder in Show, stood out on the bookshop table at Crimefest as practically the only one with a sunny blue sky on the cover. The rest were mostly murky muddy colour palettes, or various shades of bruising. But that's fine, there's room for all kinds - and many readers enjoy the whole range. I hadn't met our panel's host, Zoe Sharp, before the day of our talk (the last of the four-day festival), but a reference to her in a previous talk had me alarmed. A member of the audience asked that panel what was the best way to kill a person with a knife with a single would to the head. "That's easy enough," said the chair, "but if you ask Zoe Sharp, she'll tell you how to do it with a biro." Sharp by name, I thought... though her name too is a mixture of light and dark, with Zoe being Greek for life, in contrast to her surname that might be chosen as a pseudonym filled with threat, hinting at razor blades and flick-knives. As it turned out, Zoe was sparky, smiley and smart, and while her books may be full of combat, her direction of our panel was pure fun. Which just goes to show: it takes all sorts to make a murder story. The first four Sophie Sayers Village Mysteries are now available in paperback and ebook here. 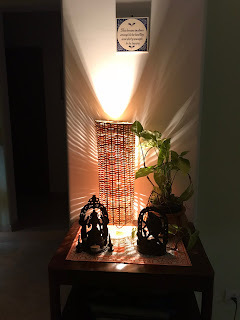 I am a reluctant short story writer and, though I have contributed work for the fabulous 'Author's Electric' Collections Flash in the Pen and Another Flash in the Pen, I don’t often write much at less than 60,000 words. It is a kind of a meanness in me I think: the same kind of meanness that makes it hard for me to part with beautiful packaging and plastic take-away containers, because even though they are always the wrong shape and I’ve invariably lost their lids - they might just come in handy one day. It is the same with story ideas, unless very slight, they might just come in handy one day and why give away a story at 2,000 words when, with careful husbandry and a little ingenuity, you could spin it out for 80,000 and sell it as a novel? Of course in my rational mind, I know that will never happen - short story ideas have the wrong kind of heft and weight for novels - just as I know deep down that I will never actually use exotic, oddly-shaped packaging except to waste space in my under-stairs cupboard (AKA 'the horrible cupboard') Unfortunately, that doesn’t stop me hoarding both ideas and packaging like a miser against an unspecified and largely unimaginable need. Anyway, to cut a novel-length, shaggy-dog story to a more manageable slice of flash - all this is about to change. 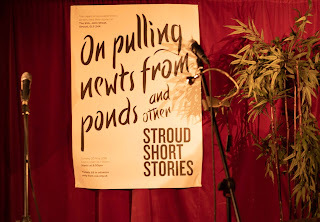 Earlier this week I took part in Stroud Short Stories - a twice yearly event in which writers with some connection to Gloucestershire submit work to John Holland and a co-judge. 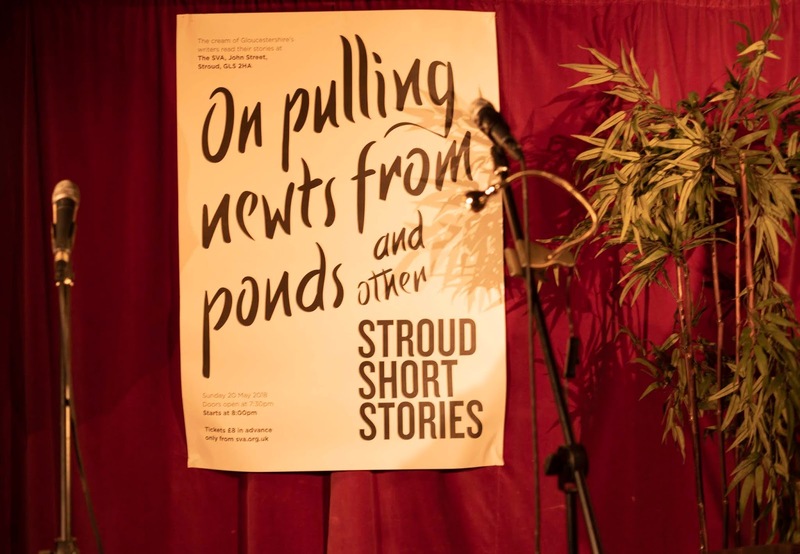 John then chooses ten authors to read their stories at a lovely event in Stroud to a live and indeed lively audience of real, sentient humans. As I’ve been renting in Cheltenham for the last year, I was eligible and my short story ‘the Stardust Girl’ was chosen as one of the ten. I can’t tell you what a pleasure it was to meet the other writers, listen to their stories, read my own work out loud to a packed and appreciative audience and have a convivial glass of wine at the bar. I have never been to a short-story reading before, but I am now a total convert. 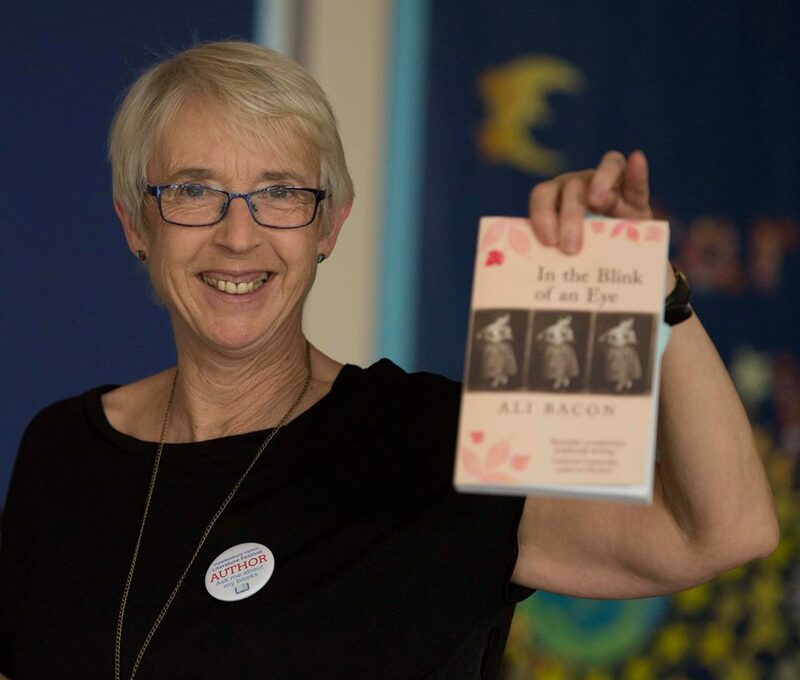 I even met our very own Ali Bacon, who was the co-judge for the May event. 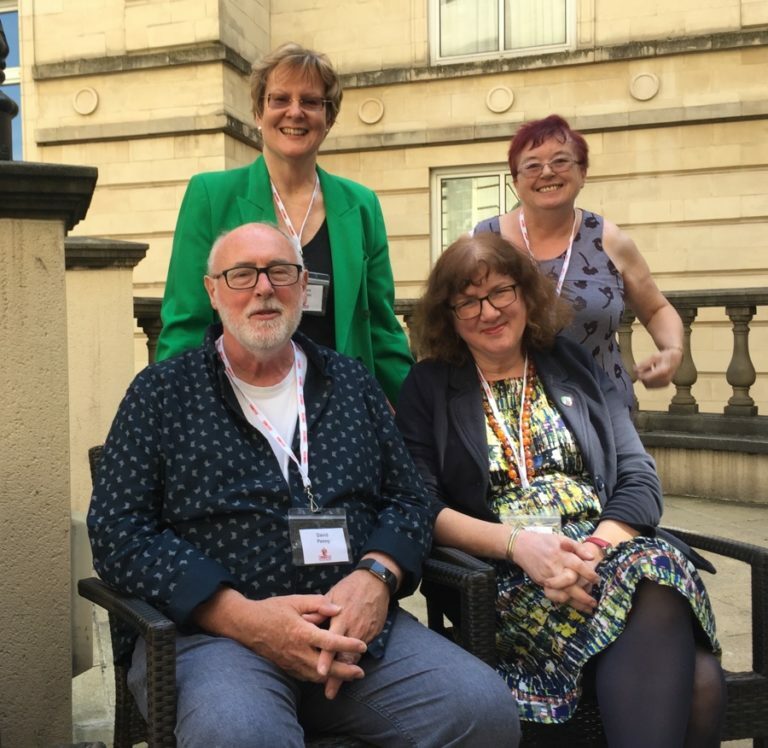 (For anyone concerned about Authors Electric corruption, we completely failed to realise the connection until some days later!) There will even be a book featuring 57 stories from Nov 2015 to May 2018, which will be out later in the summer. So, to cut to the chase, the turn in this tale: forget this long drawn out, novel-writing nonsense I am now an ex-novelist. I will no longer be prolix, long winded, digressive and repetitive. The new me is cryptic, clever and concise. And what is more, I’m going to throw away my random, useless packaging collection. Probably. Dinosaurs, Ratty Things, and Pure Undiluted PB juice. A Book Birthday this month, on the 1st of May. Meet friendless old Stan whose only passion is for money which he never actually spends - he just enjoys counting it. Cue his somewhat overweight Fairy Godmother who can still fly - well she's magic, so no problems there. She's come to, rather reluctantly, give him his obligatory three wishes, but hey! Stan's clever, and take the obvious route of asking for even more wishes. If you want to know what happens next, you'll have to buy the book. It's published by Franklin Watts at Hachette Children's, and you can find it on their website. It's an old story, of course, and based on greed and its possible consequences. The earliest version was called, I think, HOW THE SEA BECAME SALT, and there's another one about a magic porridge pot. The moral is that greed, and wanting more and more of something without thinking of the consequences, tends to misfire. 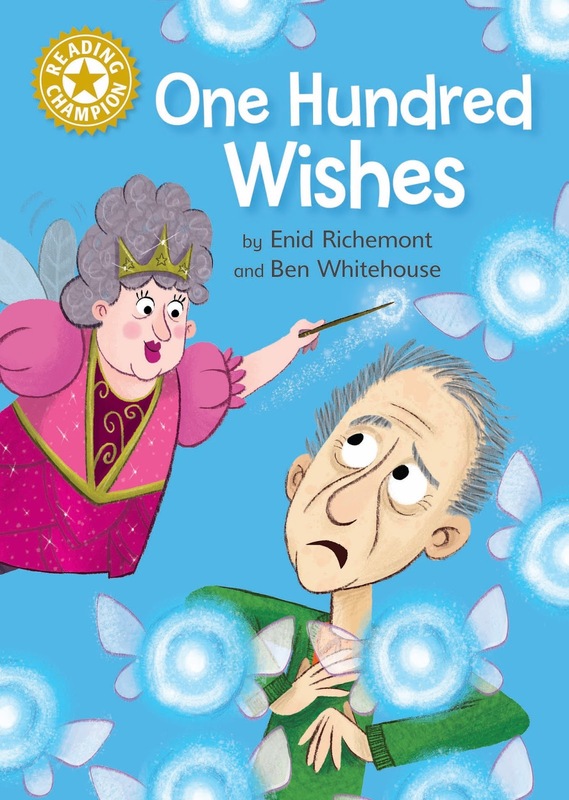 These ancient stories seem to be in our blood and get re-told again and again, sometimes in novels, and sometimes in children's books like this one, and they're a joy to re-tell and stage in a contemporary setting. NB If you're concerned, Stan's story does have a happy ending. Recently a colleague on Facebook was talking about a problem she had with doing a bookshop presentation of her factual series about dinosaurs - scientifically accurate illustrated books aimed at children. The shop pointed out that authors usually offered some kind of practical craft-based activity to go along with the talk, which wasn't easy, so friends were coming up with possible ideas. When I posted this perfectly reasonable suggestion, I was asked by a colleague: "Enid - what are you on?" To which I replied: "Pure undilduted PB juice." Warning: this is what can happen if you get too addicted to picture books. When you work alone most of the time, and when you need the outside world to buy your products or bring you interesting commissions, you have to depend on some sort of communications lifeline. The question is; when does “dependency” tip into “addiction”? It used to be the post. Every day I would be waiting eagerly for a precious letter of acceptance from a publisher, or an enquiry letter or – most crucially – a cheque. Most days there was that inevitable moment of disappointment when the postman was walking away leaving nothing of interest on the doormat or, far worse, a manuscript thumped in with a rejection letter. Then I got a telephone line of my own and that became my lifeline. 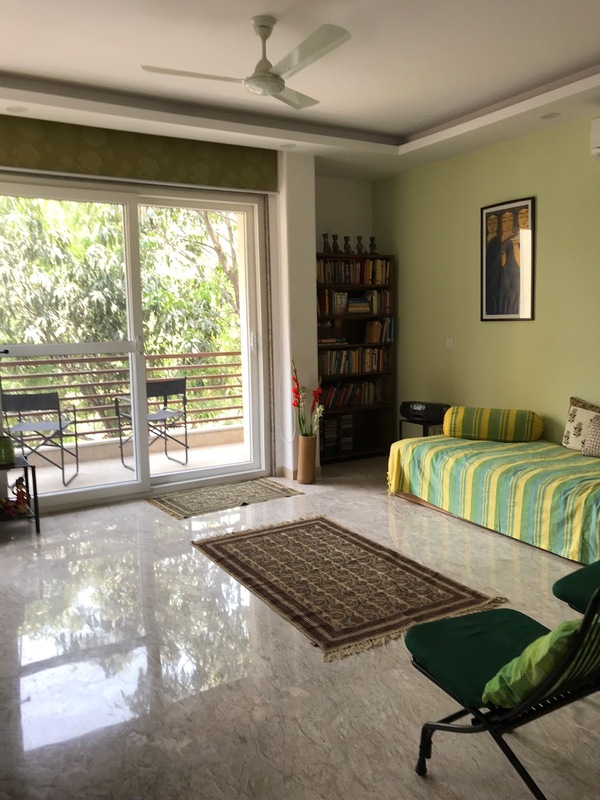 I hardly dared move out of earshot of its ring, (phones were still tethered to the wall). I dreamed of the day when someone would invent a cordless phone so I could at least go out into the garden while waiting for the wonderful calls that came so sporadically. Before someone got round to the cordless phone, of course, there was the answering machine, and the excitement of a blinking red light waiting for my return if I should venture out for any reason. But then there was the inevitable “ping-pong” of messages back and forth between answering machines as I tried to get back to the person who had left the message – and everyone went home at five o’clock anyway and then I had no chance of talking to them till the next day. Then the technology wizards created email and all was well. It was possible to communicate almost instantly, unlike waiting days or weeks for the post, and it avoided the time-consuming social requirements of phone calls. It also connected me to the whole world as easily as to my local village. Today, virtually every exciting enquiry or communication comes through email. On average there will be two of three good ones a day. So now the problem is avoiding the temptation to interrupt the slog of actual writing to check these emails for interesting stories or offers. I’m aware that I should now be doing all this on my smart phone, but I fear that may be a step too far for someone with an addiction problem. If my phone can literally interrupt me at any moment in the day, however inconvenient, would I be able to resist responding? 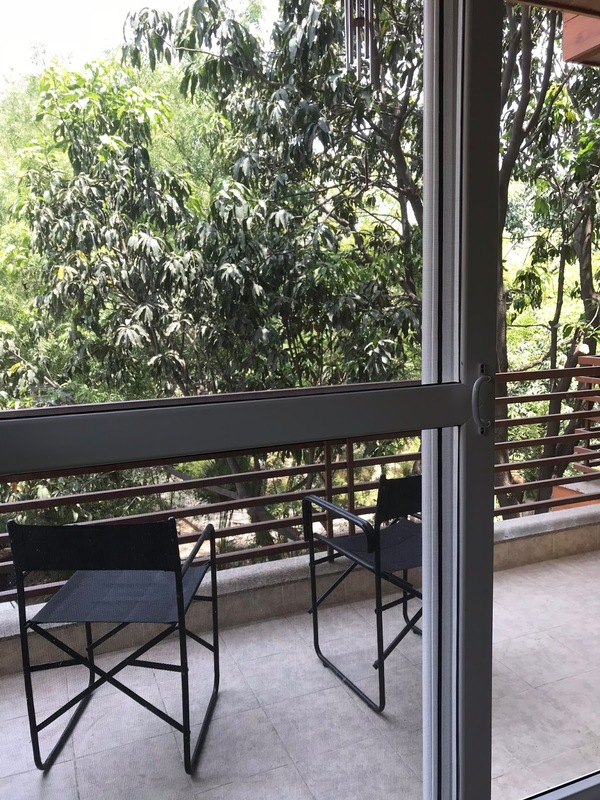 If I were deep in an interviewing situation and an intriguing call came in from some exotic location or individual, would I be able to maintain the necessary levels of concentration? If I was at a family gathering and …. Well, that could be recipe for potential disaster, as anyone who has ever tried to walk the tightrope of a writer’s work/life balance will well know. When this blog appears I shall be nowhere near any electrical device capable of displaying it. I shall be right up in Scotland’s top-knot and while I’m up there, intend to visit Morag. She’s Nessie’s little known sister, who keeps herself to herself in Britain’s deepest stretch of inland water, Loch Morar. The most reported sighting of her was in 1969 when two local men ran into her, literally, while messing about in a boat. One of them hit her with an oar and the other fired his rifle at her— whereupon Morag sank beneath the water and I’m not surprised. The men described her as being brown with rough skin, nine meters (thirty feet) long and having three dorsal humps. They said her head was thirty centimetres (a foot) wide and she held it forty-six centimetres (18 inches) out of the water— until they so rudely interrupted her. 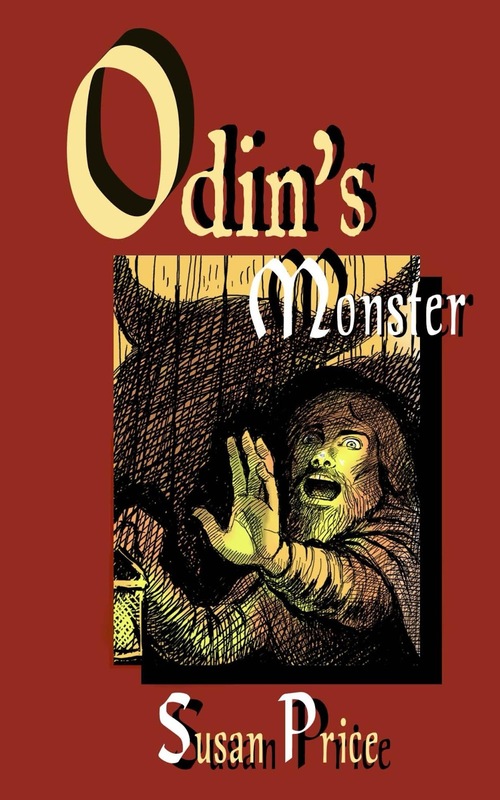 The monster in Odin’s Monster is a ‘Sending.’ This is an Icelandic concept of monster-ness, because the book is loosely based on an Icelandic legend, Thorgeir’s Bull. The wizard, Thorgeir, was supposed to have lived in the 1800s but I moved it back in time and set it during the Viking Age because, well, I like the Viking Age. A 'sending' was created by a witch or wizard in a bad mood. At its simplest, the witch or wizard murdered someone, in order to enslave their ghost and ‘send’ it against whoever it was they had a grudge against. Hence the name, ‘sending.’ I used this idea again, in another book, ‘The Ghost Wife.’ Once created, a sending like this could plague a whole family for generations. stalker with magical powers, which is a frightening thought. He creates his bull to torment the woman who’s turned him down. And her family. For generations. Instead of tormenting a woman, I have my wizard, Kveldulf Witch, torment a story-teller named Thord Cat. He wants Thord Cat to tell the story of his life, of all his murders and double-dealings, of which he's very proud. But Thord Cat dislikes the witch and refuses the commission. (The pay's rotten anyway.) Appalled by this cheek, Kveldulf calls on his god, Odin, to help him in creating the monster and he sends it against Thord Cat, to try and force him to do what Kveldulf wants. Every time the Sending arrives at the farmstead in one of its guises, it demands that Thord Cat tell its master’s story. On ‘the third time of asking’, if he refuses, it will kill him. This usually brings on groans and pleas for just a hint of how it ends, a clue… Teachers have sometimes had children write their own ending for the story before they read it to them. 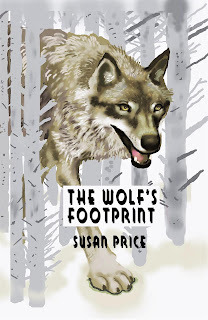 My indie best-seller, by a long way, is The Wolf’s Footprint, which is aimed at a similar age-group. So I thought I should unleash my sending again and send it out into the world, coupled with Wolf’s Footprint. I got my brother, Andrew, to do some new illustrations for Monster in exchange for a cut of the overwhelming riches which will doubtless flood in as soon as it goes on sale. 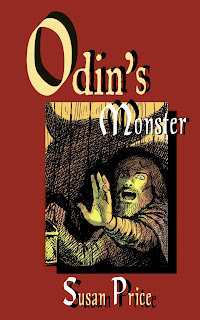 I put together the cover of Odin's Monster, using one of Andrew’s illustrations. The cover’s okay, but I will probably tweak it a little, now I’ve held an actual copy in my hand. I have a couple of other back-list books written for a similar age-group, which I aim re-issue this year. 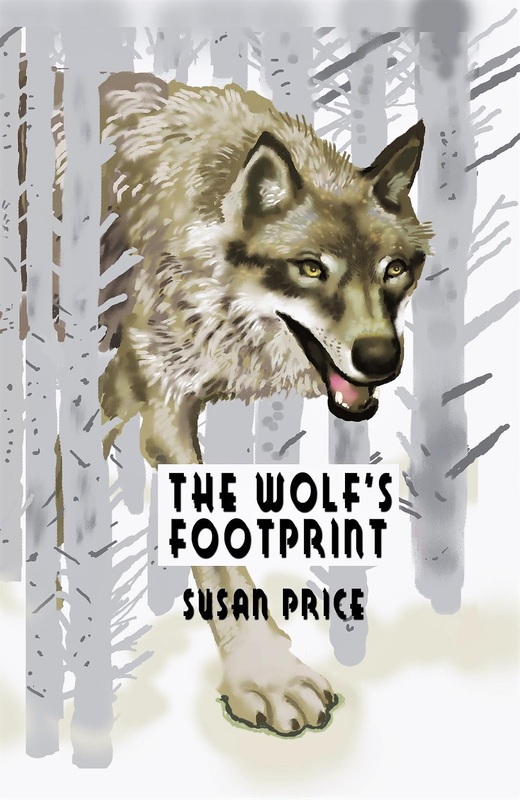 In the meantime, I’ve just heard that Kate Stilitz’s brilliant musical version of The Wolf’s Footprint is to be staged again, at Tiverton Primary in London— and I shall be going to see it. Looking forward to that enormously. No, the reason I’m raising it here is to highlight the reason I’m doing the course in the first place. I’m playing with another novel - it’s simmered for long enough and I must either write the wretched thing or give up and start something else. 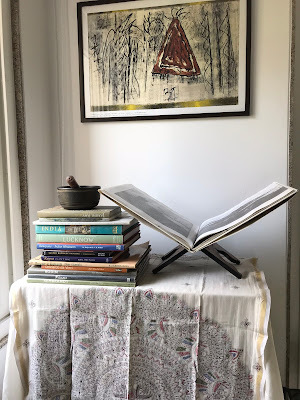 So the real reason for doing this course is to give myself a kick up the backside, reconnect with the discipline that enabled me to write The Planter’s Daughter -and remind myself how much I love it when I get going. I think, at the moment, the course is doing what I need it to do. But I don’t believe I’m the only one to need these nudges from time to time. What do you do? It's been a good bit since I went on a diatribe about dissing the self- and independently-published writer. Almost four years, in fact. I thought I had put it all behind me. I thought, naively, that I had won. I had hung up my shootin' irons, beaten my sword into a ploughshare, and turned my spear into a pruning hook. I was all ready to sip tea on my porch and reminisce with the young'uns about the ol' days fightin' the good fight for writer equality. 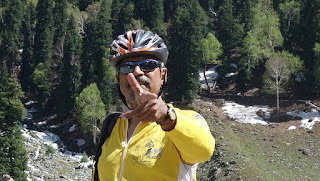 Then I saw a social media post from a writer I respect (who shall remain nameless, partly to protect his privacy and partly because he's a local poet, so you wouldn't know him anyway) that advised his followers not to take writing advice from self-published authors who think high word counts equal quality writing. I'd share a screen shot, but I can't find it now. 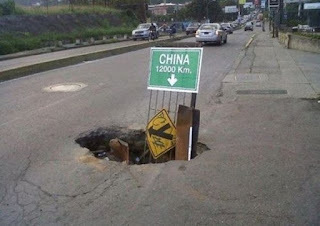 It has either been edited, deleted, or is buried so far down his news feed that it finally hit China. It's just too far to look. Now there's a lot to unpack in that statement: don't take writing advice from self-published authors who think high word counts equal quality writing. As an English professor, I understand the importance of qualifiers. One interpretation of this statement, then, could be that one should ignore only those self-published writers who think high word counts equal quality writing. The implication being that it is fine to take advice from self-published writers as long as they don't think high word counts equal quality writing. Indeed, the lack of a comma after "authors" makes this the literal interpretation of the sentence. However, this is still a problematic idea. Are we then free to take writing advice from traditionally published authors who think high word counts equal quality writing? 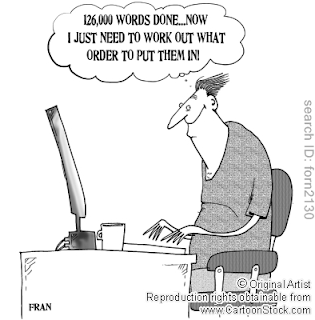 If so, the implication is not that the word count thing is the problem, but that the self-published thing is the crux. Otherwise, why not say "Don't take writing advice from authors who think high word counts equal quality writing"? On the other hand, the phrase "who think high word counts equal quality writing" could be read as a defining characteristic of self-published writers. Admittedly, if there were a comma after "authors," it would literally mean just that. Either interpretation, however, implies that the crux of the problem with taking writing advice from self-published authors is the manner of publication, more so than the counting of words. 1. 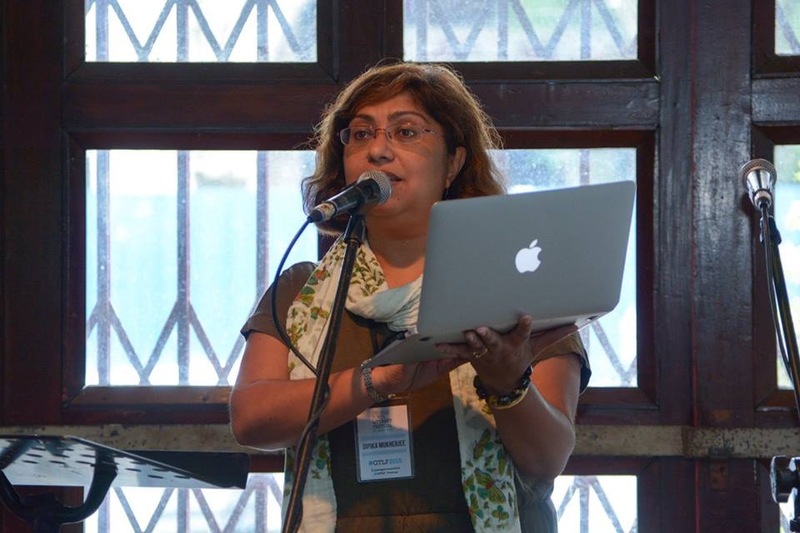 There is some kind of competition between traditionally-published and self-published authors. This is, of course, patently absurd. It assumes that readers only buy one book, and if they buy a self-published book, it means a traditionally published author has gone hungry. 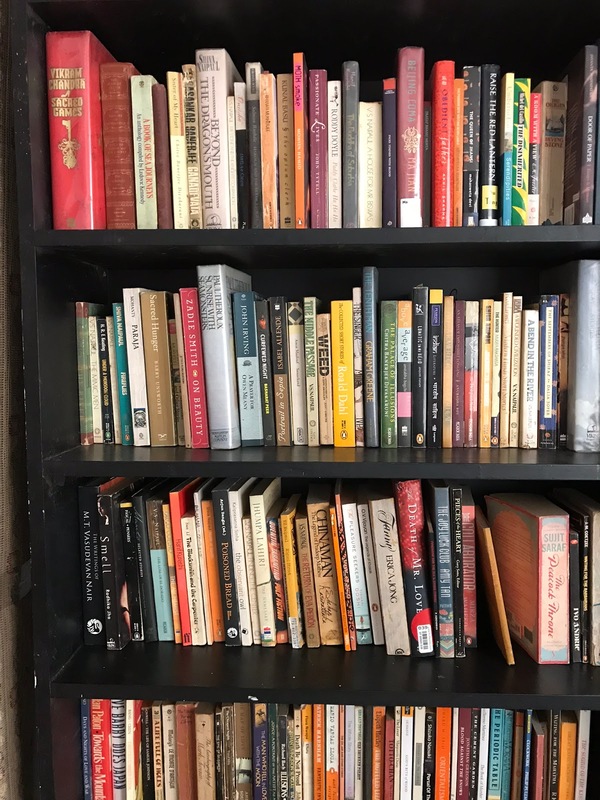 However, we all know as readers, that we are going to buy exactly as many books as a) strike our fancy and b) can be covered by our cash, our debit cards, and/or our credit limit. Look, with only a few exceptions, nobody is getting rich off of writing. There's plenty of poverty to go around for all writers. In fact, if any writer is making a living at it, much less getting rich, you can bet he or she is traditionally published. Even if it were a competition, then, clearly the traditionally published are winning. Killing it along with literally every one of his characters you love. 2. Self published writers are lazy hacks with no talent. This is probably the most common insulting stereotype about self-published writers. The idea that they are either too unashamedly lazy to do the work of getting traditionally published (an idiotic assumption given the amount of extra work a self-published author has to do, beyond writing, in order to sell books) or they are so abysmally without talent that no publisher will touch them. Of course, this last assumption implies that traditional publishers only take good writing, so every single book on the shelves of Barnes and Noble must truly be a breathtaking masterpiece of literary genius. Which brings me to the next thing I am going to do that I haven't done in a while. I haven't done a countdown in a bit, so starting next month, I am listing the best self-published books I have read. I will discuss one a month, in no particular order (so it's not technically a countdown, I guess). If you have any suggestions that you'd like me to take a look at, send them to me in the comments and tell me why they are worth a look between now and then, and I will try to to read them before I finish the list. 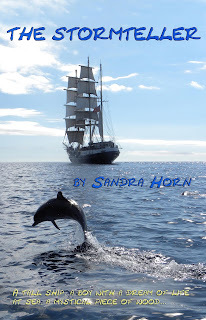 I will show you that self-published does not necessarily equal a lack of quality. 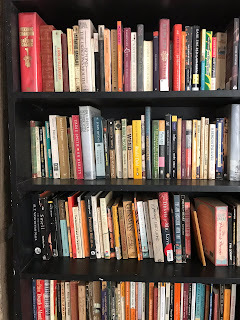 Recently a writer friend (who it has to be said ranges widely across genres) remarked on how people wilfully discount huge swathes of literature because of an apparent antipathy to one particular genre. In this I count myself guilty since, pace John Wyndham in his pomp, I have pretty much avoided sci-fi all my life. And I doubt that this throwing down of the gauntlet would have stirred me to change my ways if three sci-fi books hadn't come my way this year, all by writers whose work I knew in other contexts and which I was eager to read. So how did I get on? Avoiding any arcane discussion of what constitutes sci-fi and its near relatives, these books were remarkably different in the style of the narrative and the worlds they created and so I think I picked a good sample for my tour of future worlds. 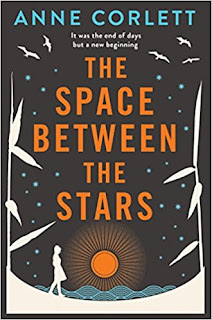 I found The Space Between the Stars by Anne Corlett (recently out in paperback) a gripping read, especially the opening in which heroine Jamie contemplates the possibility that in the wake of a deadly plague she might be the only person left in the universe. There's also a brilliant plot twist quite near the beginning which I loved because it changes the whole nature of her quest and I enjoyed the Starwarsy (?) feel of her journey to Earth with a motley band of survivors. There are thriller elements in the book but Jamie brings a thoughtful presence to the action and what it means for the future of humanity. It may not be for the sci-fi purist, but it has something for everyone else. The book I've just finished reading is a very different proposition. 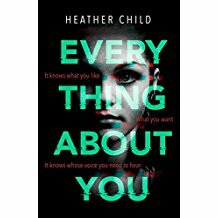 More dystopian than sci-fi, Heather Child's Everything About You takes as its back-drop a near future in which data (which we hear about so much right now) is the driver for - well, everything. I found this entertainingly inventive - your toothbrush makes your dental appointment, your shower stops running when you're clean - as well as distinctly scary in the scenes where an entire personality as well as a personal history can be learned by and from the Cloud. (Go check those privacy settings!) But again this is a strongly personal story in which heroine Freya is both haunted by and hunting for the half-sister and role model Ruby who disappeared several years earlier but seems to inhabit Freya's new virtual assistant: think Alexa with some very special powers. Freya's quest takes her into the world of a Virtual Reality game she already has reason to fear, and although I struggled a bit with the concepts here, the tension is racked up convincingly. I'm not sure there was quite enough emphasis on plot for the label of thriller, but it is a thought-provoking page-turner with a distinctive edge. 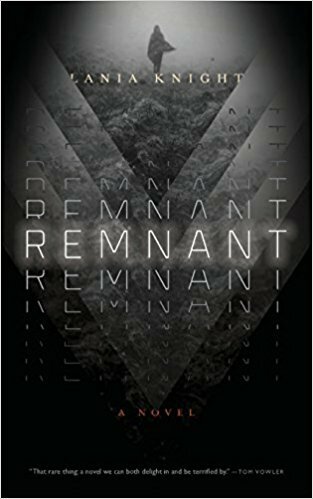 Finally, an out-and-out scifi book I wouldn't have picked up if I hadn't already been a fan of Lania Knight's spare but poetic prose. Stylistically The Remnant more than lived up to this promise. The McCarthyesque bleakness of its dystopia is truly chilling and the world ruled by the dying life form of The Maitris is brilliantly constructed and evoked. Just a word of caution - this is not a book to read if you need cheering up! It also differs from my first two reads in not having a single hero(ine). 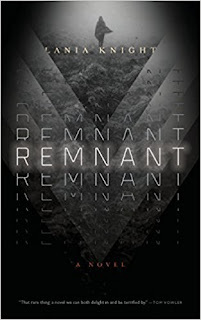 Remnant (naming of characters and tribal groups is brilliant) is a girl destined to take on the life form of the evil Maitris and many individuals and factions have an interest in her fate, all of them reaching ultimately to exchange their barren landscape for a land, maybe not of milk and honey, but at least capable of sustaining life without scientific interventions (like synthetic food and even synthetic people.) I occasionally floundered amongst the many competing interests and characters but I did feel immersed in this highly imaginitive rendering of the future. So, phew! - I'm back from the future. The question is, will I be going back? Well I don't think this will ever become my particular thing, but as an eclectic reader I'm not sure exactly what is. When faced with this kind of variety I do at least see it's rash to turn my back on a whole league of writers. So what other genres should I be exploring? Chick lit, YA, any other takers? Ali Bacon writes contemporary and historical fiction - no sci-fi just yet! 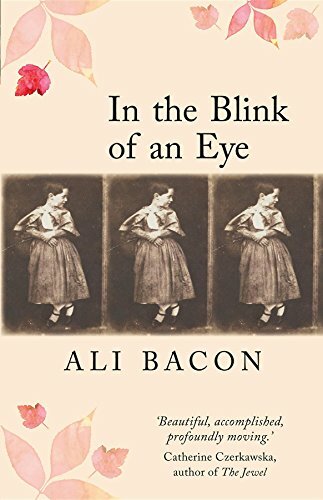 In the Blink of an Eye is available in e-book or paperback, also from Linen Press. 1. If your hero or heroine is a well-known historical character, you could tell the little-known story of their youth or teenage years. 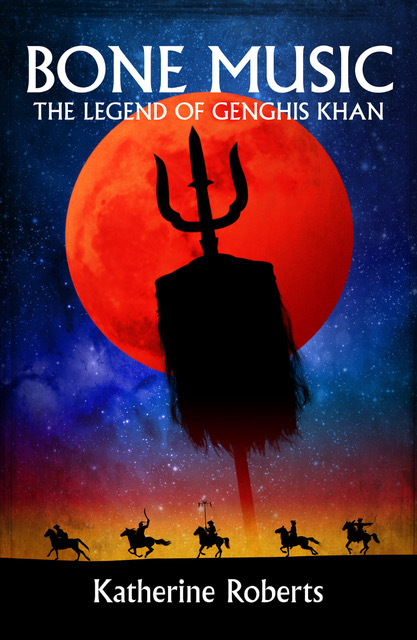 This is the approach I took in Bone Music, my novel about the teenage years of Genghis Khan based on The Secret History of the Mongols. I also threw in a bit of fantasy and paranormal romance for luck. 2. 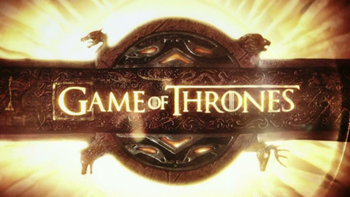 Take a well-known incident in history, and include (or tell the whole story) from the point of view of a fictional character so that the reader has someone to root for but doesn't know the outcome until the end. 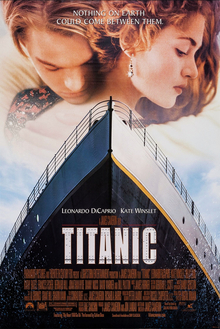 This is the basis of the 1997 film Titanic, where the hero Jack wins his ticket on the doomed liner's maiden voyage in a game of poker just five minutes before the Titanic is due to sail so is not on the official passenger list, which means you don't know if he survives until the very end. The film is also a romance, which always helps in fiction destined for the YA or adult market. 3. Making a minor historical character into one of your main characters can work nearly as well, since your readers are unlikely to know much about their story already, although then you might be constrained by what actually happens to that character in history, and in my experience real life never quite fits into the plot of a good story. 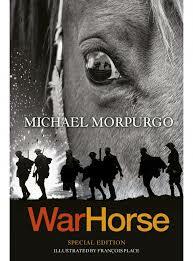 To get around this, you could take an animal's viewpoint of history, such as Michael Morpurgo's popular War Horse about World War I. 4. Rewrite history from the point of view of the losing side. 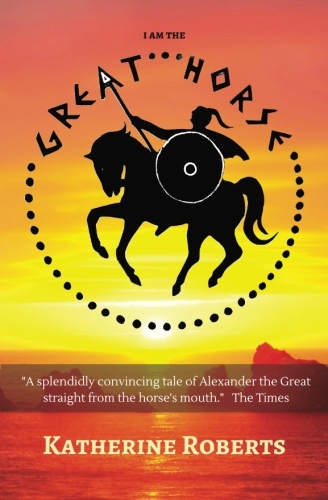 This is not really cheating, since most of history is written (and sometimes rewritten) by the victors - for example, when I was researching my own horse viewpoint novel about Alexander the Great I am the Great Horse, I discovered Alexander employed an official historian to travel with his army and write his story. At first, when Alexander was acting like a young hero, things were fine - later, when he turned into more of a tyrant, the reluctant historian was locked in a cage and threatened with torture unless he wrote exactly what Alexander wanted him to write. Digging up the truth of what actually happened can reveal some interesting characters and plot lines, but the research is likely to be more difficult, and there's always the danger readers who know the popular version of history will gleefully write to tell you you've got it all wrong. 5. Add an element of fantasy to the history, which is a popular approach in children's historical fiction. 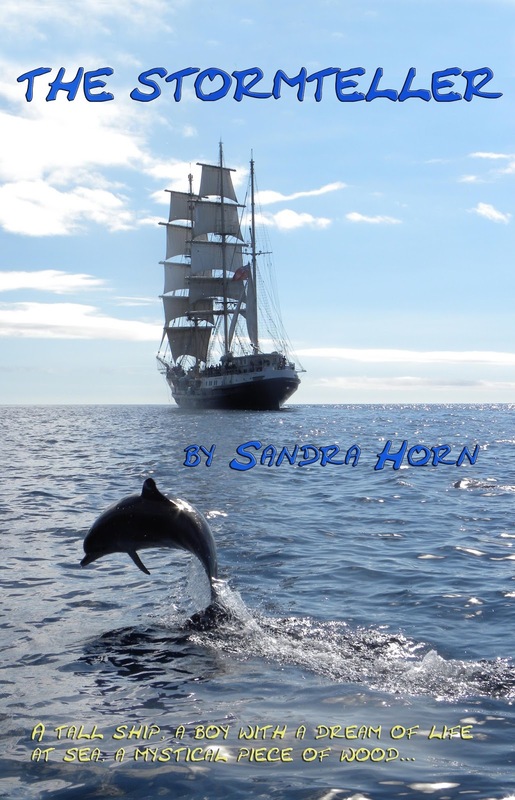 My Seven Fabulous Wonders series mixed history with magical creatures from ancient Greek and Egyptian myths to create a seven-book historical series for teenagers based around the Seven Wonders of the Ancient World. 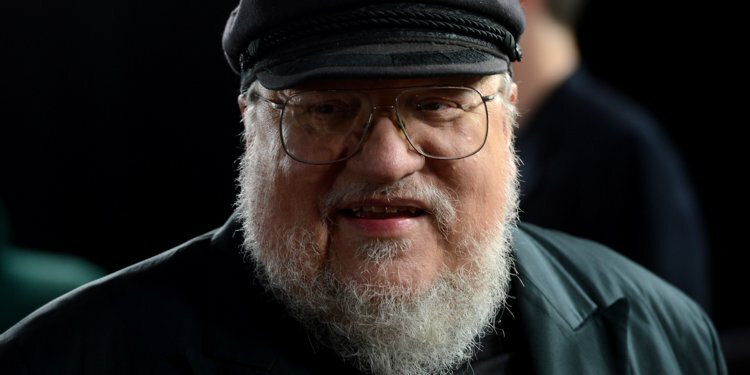 Or you could take this approach even further and disguise the history entirely, as in the hit TV series Game of Thrones from George RR Martin's A Song of Ice and Fire, which is based on the Wars of the Roses but marketed firmly as fantasy. In a similar manner, Rick Riordan took the Ancient Greek myths as a basis for his Percy Jackson series, setting his stories in modern times and only touching on the history. Revealingly, rather like Game of Thrones, Riordan's series has been far more commercially successful than my Seven Fabulous Wonders with their carefully researched historical backgrounds... you live and learn. 7. 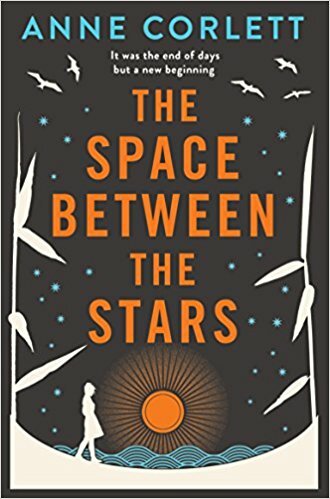 Finally, you could go the full science fictional route into alternative history, which takes a pivotal point in history and imagines what the world would be like today if the result had been different. For example, what would our lives be like if Germany had won the Second World War? 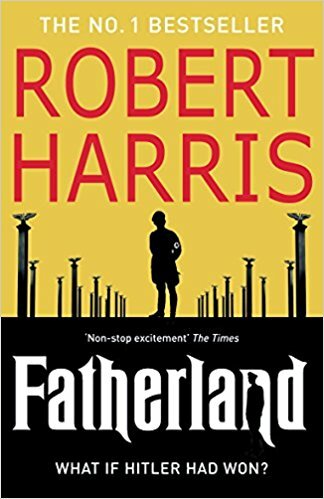 (Robert Harris' Fatherland). Or what if the Roman Empire had not collapsed and ruled in Britain today? (Alison Morton's Roma Nova series). There are many other examples. Please add your favourite historical fiction - book or film - to the comments below! There’s an old saying that if you see a flock of crows, they’re rooks, and if you see a solitary rook, it’s a crow. It has been claimed by those who know these things that it isn’t true but it’s true-ish, as many of the old tales are. Black birds congregating in large numbers in trees are mostly rooks, and crows are more likely to be alone or in pairs. I remember being fascinated by a book about raven behaviour when a carcass is discovered by scouting birds. They report back to their clan by distinctive cries and then there’s a hierarchy of who feeds first, regulated by patterns of calls. 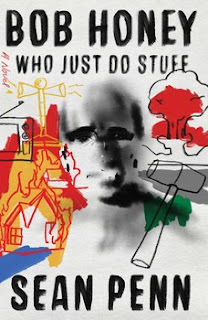 I was enjoying the book very much but it descended into a miseryfest by the writer. He was cold, it was hard to find roadkill, the water ran out, etc. etc... It reminded me of my bête noir, him off the tele who goes off on ‘adventures’ all over the world and then moans into the camera because he’s all covered in boils or he’s left his horse in a field in Mongolia and they’ve all died of fly-strike. It makes me throw things at the screen and counsel him very loudly and in no uncertain terms to Stay At Home, You Inveterate Plonker! Rant over. Where was I? Oh yes. One of the many delights of staying with our friend Di in Cumbria was the evening drink in the garden, watching the twilight deepen as bats flitted above our heads and the rooks came home to the trees nearby. I’d never appreciated how conversational they sounded until then. They don’t just caw and quark, they make soft gossipy noises and sometimes sound like questions-and-answers. 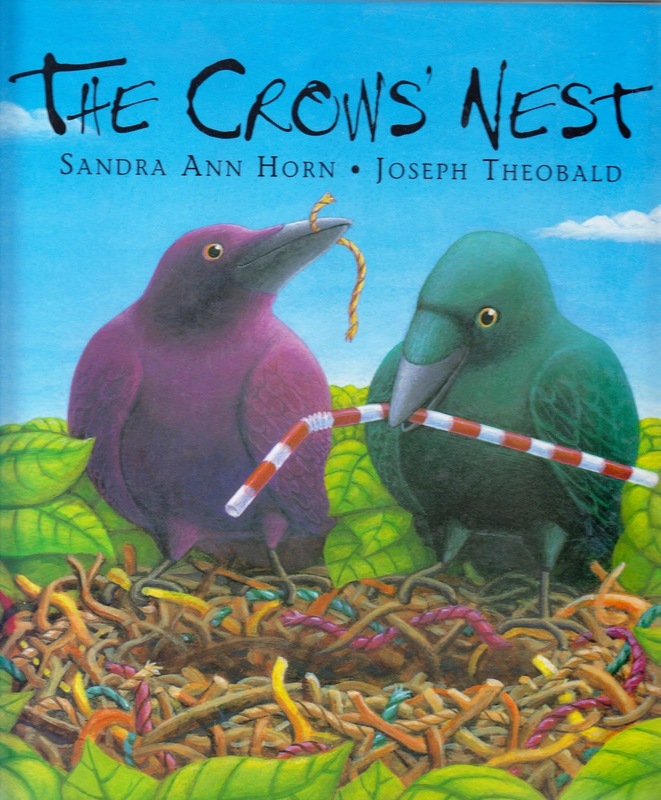 I put some of the sounds into The Crows’ Nest, in which Mo and Jo Crow are looking for a home and constantly being thwarted until they find the perfect place in a city. Unaccountably, it won an award for a non-fiction picture book! Apart from the rook noises, there was one real event woven into it, when birds dropping a wet twig onto a nest on a pylon caused a short and plunged half Southampton into darkness, but they were pigeons, not crows. I’ve put other members of the family into books, too. 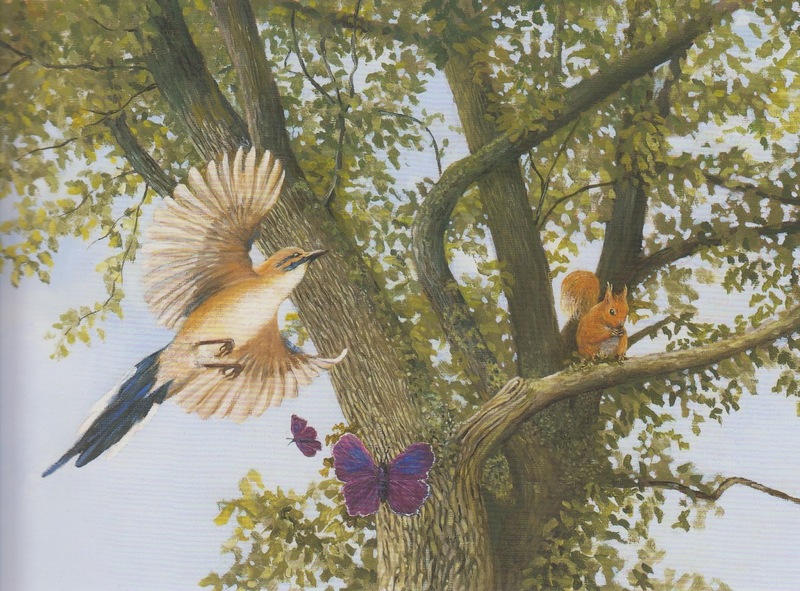 A jay plants the acorn that will grow into the oak that will eventually become ship’s timbers and then the cottage in The Furzey Oak. In The Stormteller, a jackdaw picks Marietta up from the beach, attracted by her sparkly costume, and is the unwitting cause of her reunion with Zeke. Jackdaws like nesting on chimneys and cause mess and sometimes fires when their casual attitude to nest building makes loose twigs fall down into the smokehole. I used that idea in The Hob and Miss Minkin stories. ‘May I have just that little crumb? Open your beak and shatter the sky. Humans seem to have a long love-hate relationship with corvids. In the countryside, rooks have often been killed – eaten in pies or hung up along fences as a warning to others to keep away from crops. There’s a plan in a part of Scotland to cull ravens to improve the survival of wading birds. Many other members of the family, such as magpies, are nest-robbers. 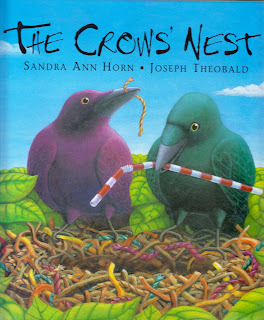 Then there are songs like ‘The twa corbies’- Eek! They do what they must to survive and it isn’t always pretty, but it is often impressive. We may dislike the corvids’ methods of feeding themselves and their chicks, but on the other hand, we admire their ingenuity. Scientists have often devised complex puzzles for them, involving several manoeuvres to get at food, and they are very quick to find solutions. They also play. There’s an amazing clip on YouTube of a crow using a flattened tin as a skateboard, with no other obvious purpose than fun.They delight, disgust, frighten and intrigue us in turn. They are awesome!